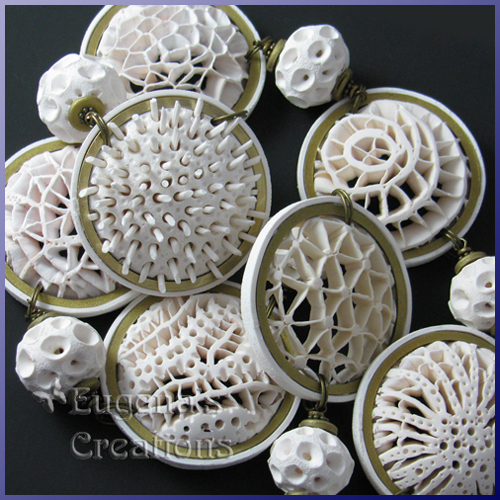 Elegant jewelry with hand-sculpted polymer clay focal beads: earrings, necklaces, pins, and bracelets. Original home decor items: vases and wall decorations. Detailed step-by-step tutorials, tips, and classes for polymer clay enthusiasts.